We will meet at the Home Depot (1013) in Redlands, California, located at 1151 W.Lugonia Avenue at 730AM. Departure for the event is at 8AM sharp. 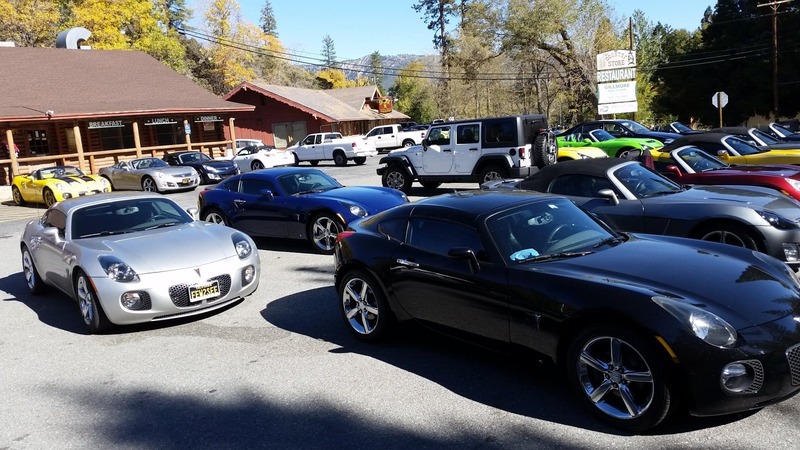 We will drive up to Onyx Summit near Big Bear, then to Angeles Oaks for breakfast, down to Oak Glen if parking allows us to stop, then on to Idyllwild for lunch and shopping. We will depart from there and head to Anza for a little Casino action/Dairy Queen and then down Highway 74 into Palm Desert. Lodging for the night is at the Emabassy Suites (760 340 6600). We will meet up again around 530PM to head to Don Diego's for dinner. If we have sponsors for the event, all prizes will be awarded at the dinner. We will be doing a poker run during the event, best hand wins. We will provide a free Tee Shirt to the driver. If you have any questions, and if you plan to attend please PM me. Here is the official invite. easyryderca and TVRBill like this. Thanks to Cody and San Diego GXP showing up at the event. 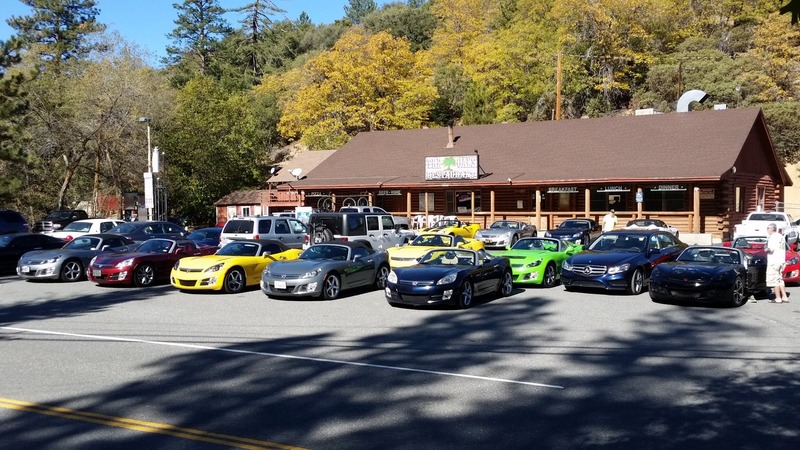 We had 24 cars this time and a beautiful day. Some delay at breakfast and a flat tire to fix along the way. But a great time and the weather was beautiful. Dinner was excellent, thanks to Myrna and Eric for their support. 44thSKY and TVRBill like this. Thanks for putting it on and the T-Shirt Bob! I had a great time right up until I headed back from the Dairy Queen, Thanks to all! Especially Myrna and Eric and you! Bill... in the silver coupe.. It was pretty kool, we had 18 Skys, 3 Solstice and 3 Solstice Coupes on the run. Obviously I thanked the wrong Solstice Coupe driver. Thanks for coming TVRBill. If we do it again next year I promise to better effort forward. Just too much going on this year and all sorts of problems with my car. Actually thinking about getting rid of it. Don't have the time to deal with it anymore. Got to get it fixed soon. I think that was a true statement Rob, 10 months ago. But since March and all the hassles this has been, from every aspect I am not sure that is true any longer. It is doing all sorts of things ever since we put the trifect programmed tune in it. Nothing works correctly. Cruise control works when it wants, yesterday the seat belt light/service air bag light came on. And it has been repaired and hardly anyone has sat in the passenger seat since it was repaired. Constant brake swith error code, Says it is running to lean, but as we watch the scan it is perfect. It would not be so bad, if it hadn't been so little trouble before. I had a small battery/stereo problem, which I caused, but never an engine colde or problem. Purred like a kitten and ran extremely well for 4 plus years. I think I have close to 2K miles in trying to get it tuned since getting home. Not to mention dragging it to Colorado for the vendor to tune it and he couldn't even get into the the ECM. And their attitude was, really who cares. I think the only way to fix it is to put a new ECM in it and have it flashed back to stock for the VIN. But no idea if that will fix it or not. That is a good chunk of change when it is all said and done, and still a question mark. Not to mention the hell the car has been thru trying to figure out what is wrong. I have two buyers for the car right now, that do not care at all about the situation I have. But will they after they get the car is my question. The other half says just build a new motor and get the ECM and flash. But throwing that much more money at it does not seem sensible to me. I know you went thru hell with the Punisher, way more than I have. And I admire your persistance on it. I really am not that into it anymore. I think Elf or Choptop had a good idea. Put it away and forget about it for a few months and maybe I will want to drive it. I don't now, that is for sure. What I am really thinking about doing is selling it, and buying a Ruby Red with low miles or (I know you won't believe this, a Brazen Coupe, Auto and low miles). I got either of them I think I could go back to loving the car again. I will never trust this one, even though I drove it close to 300 miles, running okay, but with no real power. No idea what codes have been thrown, will have it scanned when I have time to mess with it. Most likely after the Holidays. But thanks for the encouragement Rob, I know you understand the whole situation. ChopTop and TVRBill like this.